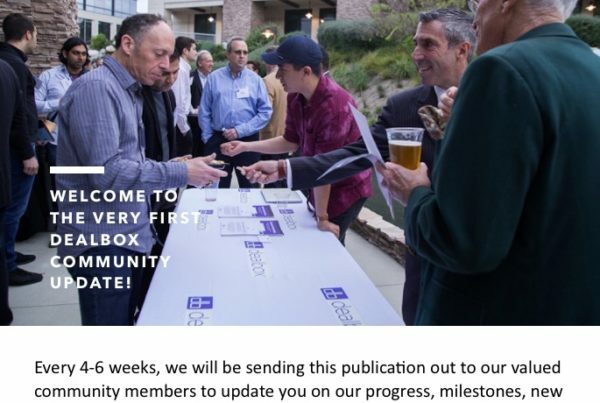 Welcome to Volume 4 of the Deal Box Community Update. share some updates with you in this newsletter. If you haven’t heard by now, we held our first Innovation Finance Forum of the year on February 7th. The event was a smashing success with over 100 guests, speakers and investors in attendance. We look forward to hosting the next event in May, stay tuned! We’ve been in conversation with many high profile investors over the past month, and it seems increasingly likely that we will be announcing the closing of our $5 million private sale round in the coming weeks and opening up the public offering for $25 million. This is sure to be great news for our investors and issuers alike as we intend to make our first round of seed investments in to our issuers and roll out the marketing of the fully operational Deal Box Platform and Marketplace. We intend to leverage this announcement to propel the syndication efforts of all of our issuers through major media channels. We are thrilled to announce that our Founder and CEO, Thomas Carter and President, John Nance will be traveling together with Deal Box Advisor Dr. Richard Swart to New York next week to host a private investor dinner in conjunction with Block Works Group. During this dinner, Thomas and John have the pleasure of speaking alongside Morgan Creek Capital Management Founder and CIO, Mark Yusko about the state of the capital markets, asset allocation and the infrastructure of the smart securities industry in front of a live audience. You can read more about Block Works Group by clicking the link. Beginning next month, the Deal Box website will be integrating an “Educational Resources” page that will comprise of a series of internally written articles by our branding and marketing advisor Jerome Conlon, Dr. Richard Swart and John Nance to communicate the macro level narrative of the Deal Box value proposition and focus on the adoption and evolution of the smart securities industry. During the month of February, we formalized our newest strategic partnership with Rock Dollar Inc. Rock Dollar provides self-directed IRA and solo 401(k) accounts for individual investors,allowing them to take full control of what it is they invest their retirement funds in. Deal Box is excited about working with Rocket Dollar to enable investors greater investment options within their retirement accounts. 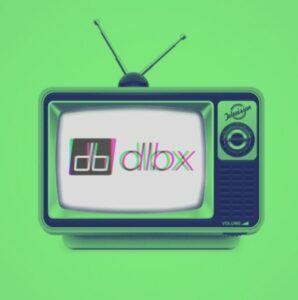 With this new relationship, investors can allocate to any of the offerings within the DealBox Platform by setting up an account with Rocket Dollar. 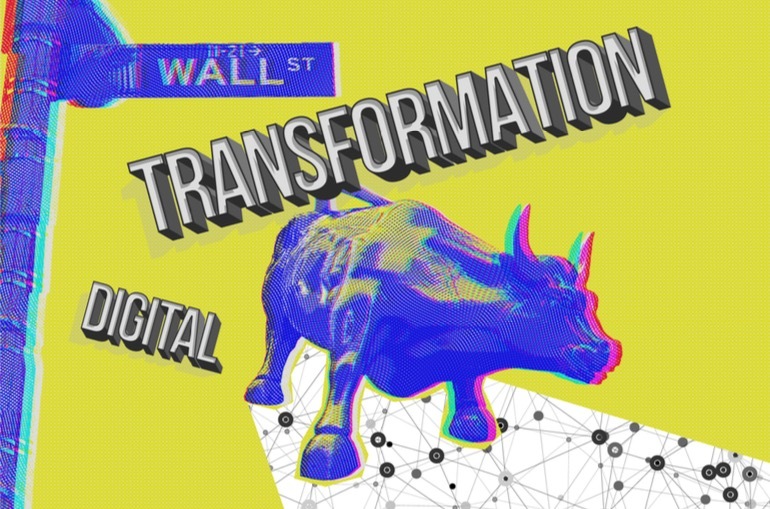 To learn more about Rocket Dollar, please visit https://www.rocketdollar.com if you have questions about this unique capability, please contact us directly and we will gladly introduce you to our relationships at the company or reach out to Rocket Dollar regarding investment opportunities on the DealBox Platform. 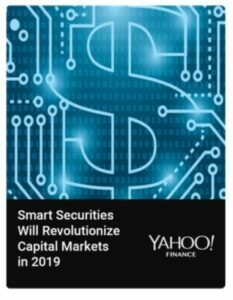 Over the course of the last month, we have had several articles released via NASDAQ and other channels as we expand our education and commentary on the evolution and adoption of smart securities. You can check out our February Article here. Our President, John Nance spoke at the US Global Business Forum event in Long Beach at the Queen Mary last weekend and shared Deal Box with a number of high profile investors and business owners. His work at the event is driving further expansion of the syndication and distribution network at Deal Box, more on this in the Issuer Client Updates section below. 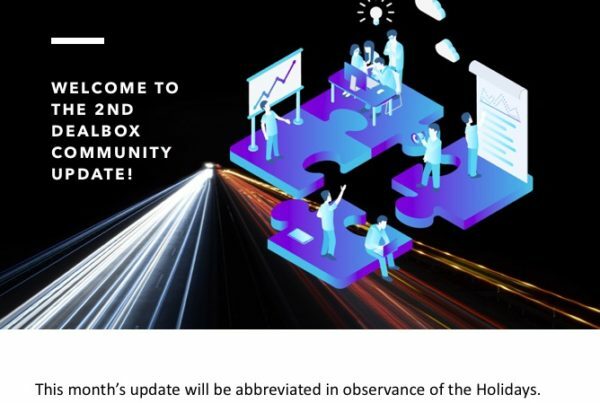 The Deal Box platform has been undergoing massive revamps as our CTO, Charles Volton and other developers on the team work to finalize the public facing, fully functional market place. We expect that by the end of March, the platform will be completely finalized and we will look to start development on the Deal Box App some time in Q2 with and expected completion date in Q3. As of last month, we have been vetting out several potential new issuers for the platform, but have yet to onboard any new clients during the month of February as we focus predominantly on the syndication and distribution for our current and active issuer offerings. the Deal Box Innovation Finance Forum (DIFF) event earlier this month. Our executives have been speaking at a number of conferences and events since the DIFF event and our syndication network has been growing tremendously. It is our belief that we are close to closing a significant portion of multiple issuer clients and hope to share a number of major updates on this at the end of March. As of last month, there are no updates to share on new Team Members. We remain deeply committed to completing our current initiatives and have been solely focused on the execution of what is in front of us. 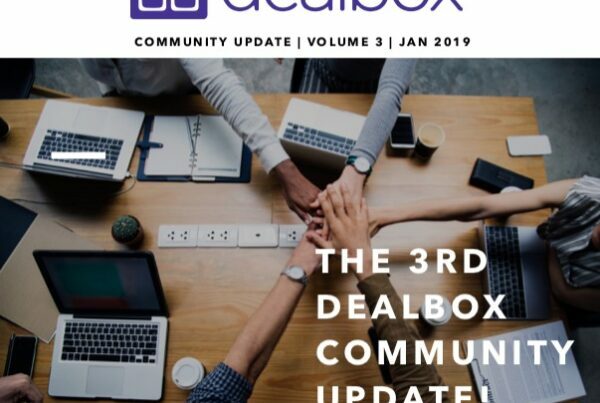 That’s it for the 4th edition of the DealBox Community Update! Thanks for reading and we look forward to hearing from you before the next edition comes out.